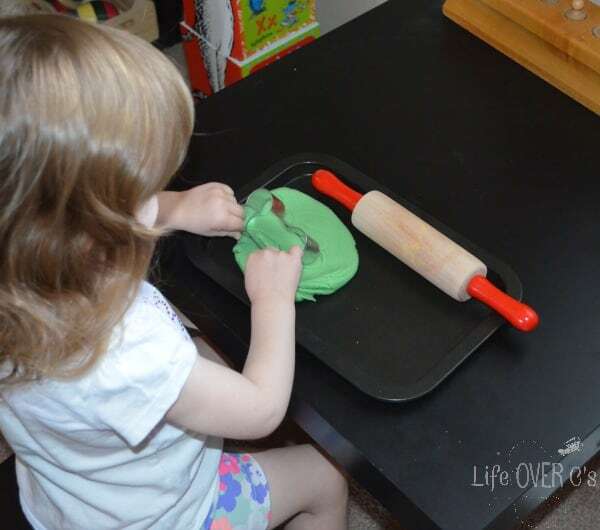 Making my own scented play dough recipe is fun for me and my daughter loves play dough. 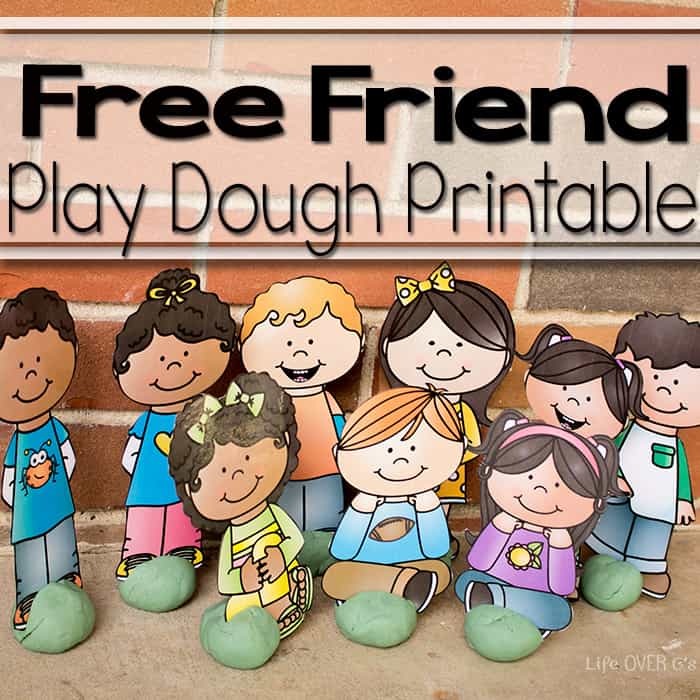 Last year for fall we did a pumpkin pie scented play dough recipe that my daughter loved. 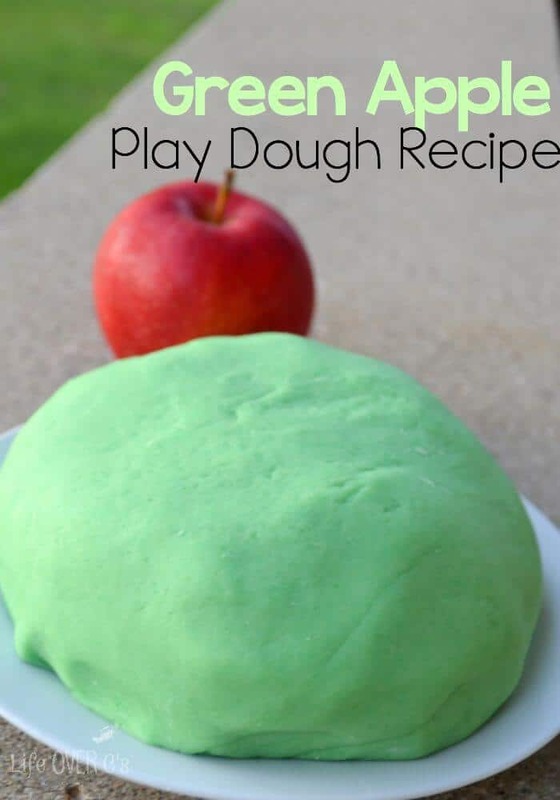 This year I decided to go the apple route and do an apple scented play dough.I like making my own play dough because it is a great sensory experience with the added smells, plus I know exactly what is going in it. Finding something to use as the apple scent was a little challenging. I tried finding apple extract or something similar in the baking isle with no luck. As I was walking out of that isle, I spied the jello packages and saw the green apple flavored jello. I had seen people use jello before in play dough recipes, so I decided to try it. Let me tell you, this scented play dough smells amazing. I could not get over how fragrant it was. And you know how if you leave play dough out overnight it gets hard and crumbly? Well, I tested this by leaving it out over night. It got a little crusty on the outside, but after kneading it a few times and working out all the crusty edges, it smoothed right back out. To keep this even longer I wrapped it in some plastic wrap, but you could also use an air-tight container of some sort. Add all your dry ingredients to a large mixing bowl and stir together. Add vegetable oil and boiling water and mix with a large mixing spoon. Once the mixture is cool enough to tough, take it out and knead it on the counter. 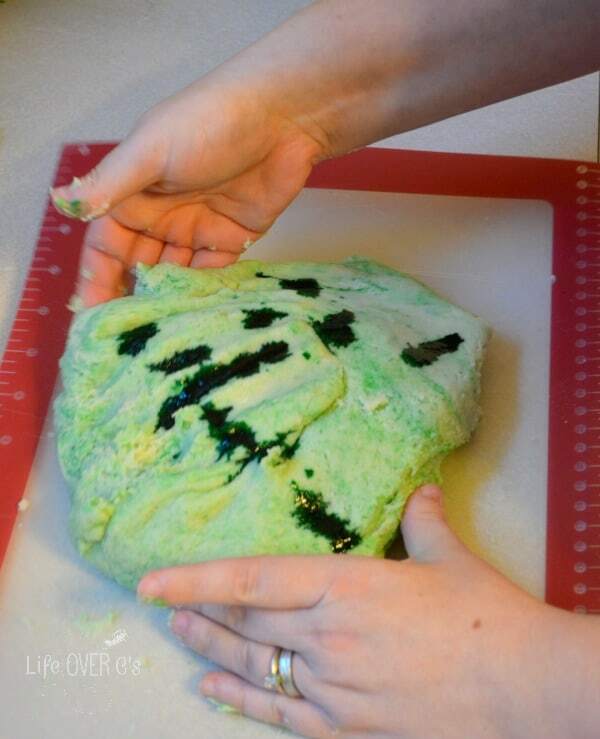 Once you begin kneading it by hand, add the 8-10 drops of green food coloring and mix in with your hands. Add as much coloring as you want to get the desired green color. 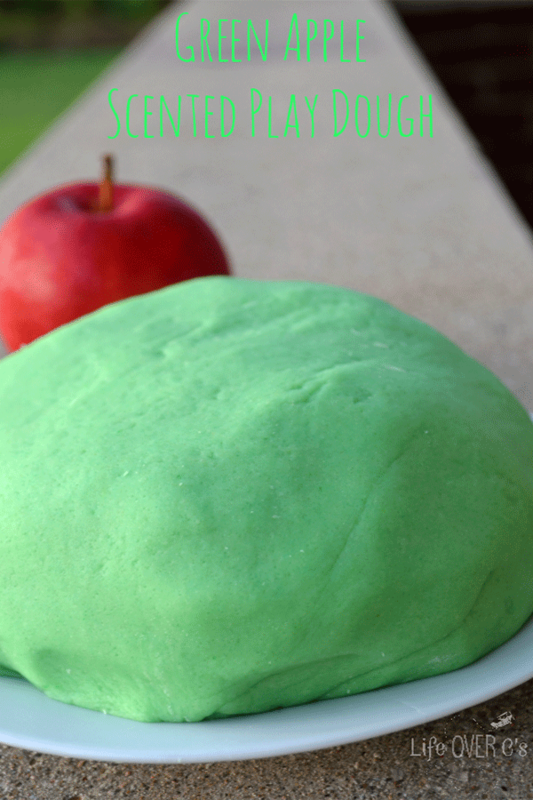 This recipe is inspired by the Best Ever No Cook Play Dough Recipe from The Inspiration Tree. It almost looks good enough to eat. But of course that is not recommended because of the salt. My daughter is actually pretty good about not eating play dough. However if she does, I just take it away and she is done playing with it for a while. She has a little play dough tray that she enjoys so I gave her a small piece of the green apple scented play dough and she had a great time with it. 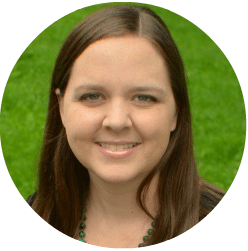 Heather Greutman is a homeschool mom blogger who writes about Christian Montessori homeschool with an Occupational Therapy twist at GoldenReflectionsBlog.com. 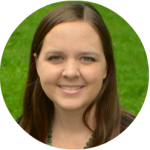 You can also find her on Facebook and Pinterest. Oooh, I bet this smells great! 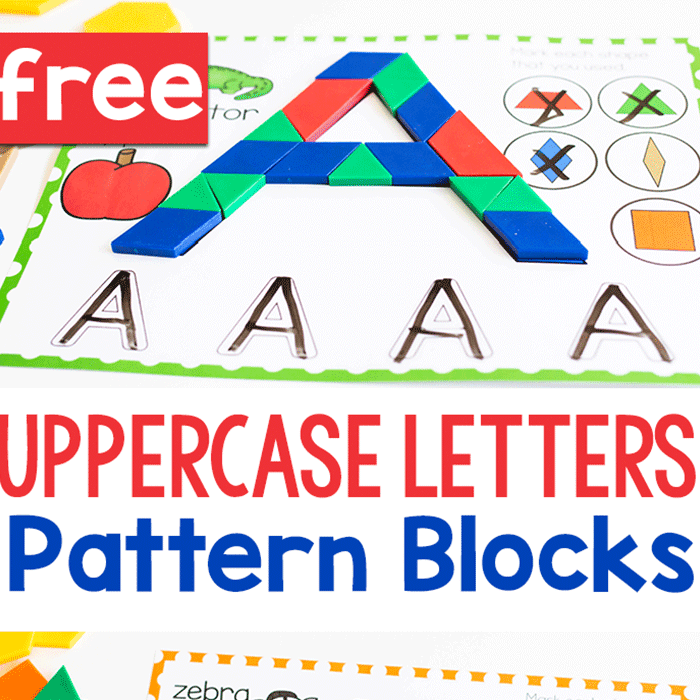 Thanks for sharing — I can’t wait to make it for my little guy! I’m so glad I found you through the Tot School link up. Thanks for stopping by! I hope your little one enjoys it! Love the idea of using Jello to give it a scent! We’ve tried it with cloud dough before — so fun! Definitely agree with younger kids it is nice knowing what is in the play dough they are using! Yes, I really prefer homemade versions with food safe ingredients more than the store-bought versions with unknown ingredients. 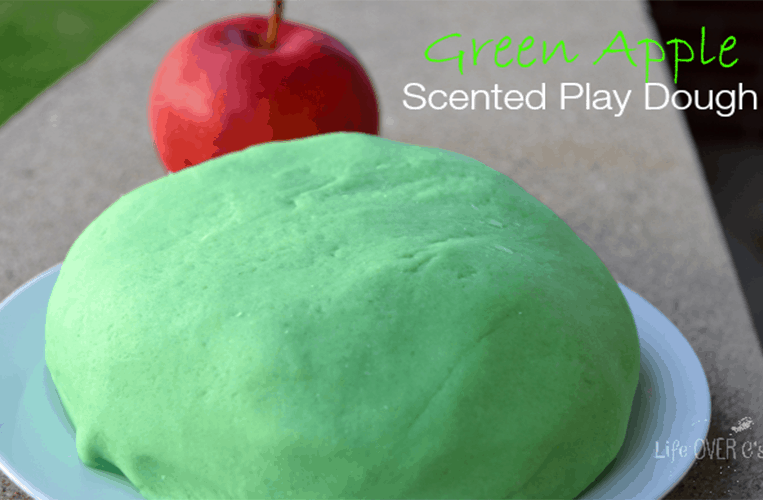 I was really excited to make this for my Pre-K class to use while we’re learning about apples, but when I made it, it came out really sticky. Any ideas how to fix it? You can just keep adding flour until it’s not sticky anymore. Because of differences in humidity, elevation, etc. play dough is always subject to the kitchen it’s made in. But most play dough recipes are very flexible and you just add a little water or a little flour depending on how it feels. Hope that helps! I’m so excited to be introducing some new sensory activities to the infants and toddlers I teach. With their young ages, it is so important that everything be “taste safe” so I’m glad to find this recipe! 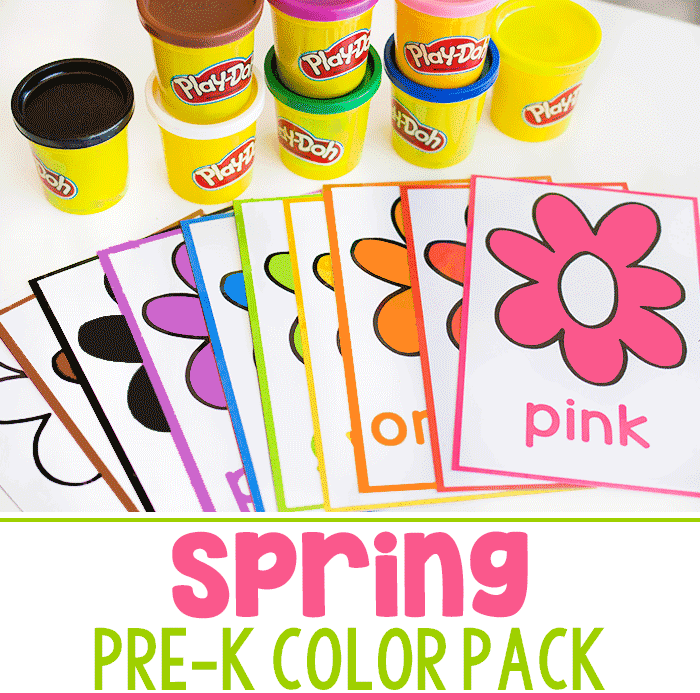 Your play dough looks awesome!! Thanks for linking up to Good Tips Tuesday. You will be featured this week. Smooches!! This looks like a fun recipe! 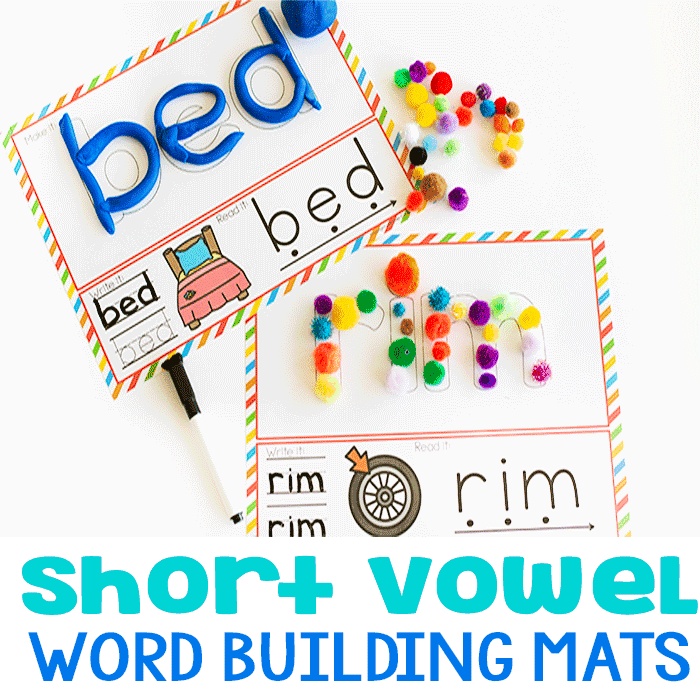 Thanks for sharing on the Thoughtful Spot Blog Hop!